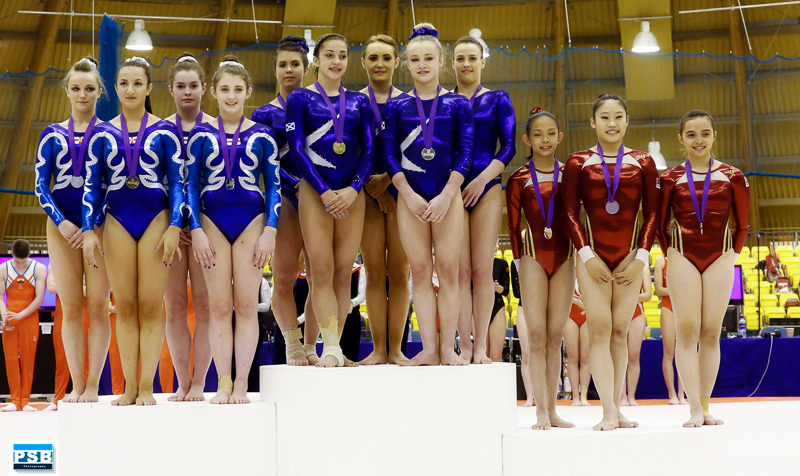 Congratulations to City of Birmingham and Scotland’s Emma White who was victorious as All around champion in the Commonwealth Invitational International held at the Bells Sports Centre in Perth, Scotland on 26th April 2014. Emma started her competition on bars and was last up for the team scoring a personal best of 12.7, a great start to the competition. Moving to beam the team started well, Emma was up 3rd and had a steady beam scoring 13.150 another great score putting her in contention for the overall championships title. Floor came next and with Emma competing a new double arabian start tumble. Whilst a little nervous to begin with it was unnoticeable when she nailed her tumbles and scored yet again another Personal Best score of 13.1. 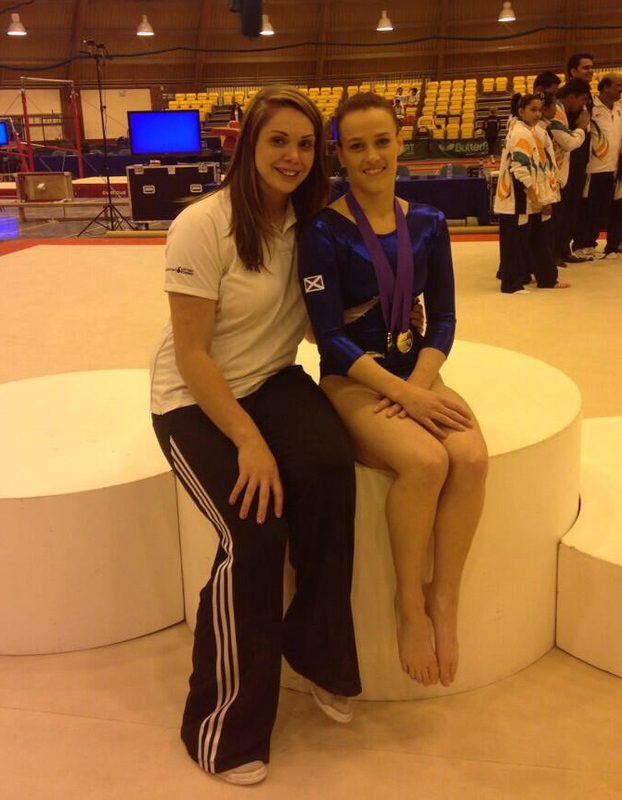 The final piece for Emma and team Scotland to compete on was Vault, her favourite piece, on which only 3 weeks ago she claimed bronze medal position at the British championships. 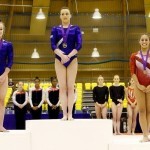 Emma competed solid vaults to score a massive 14.3. 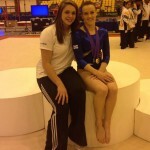 The Invitational International served as the final trial for Emma as well as to all other Scottish contenders hoping to gain a place in the Commonwealth Games team, for which announcements will be made later on in the summer. 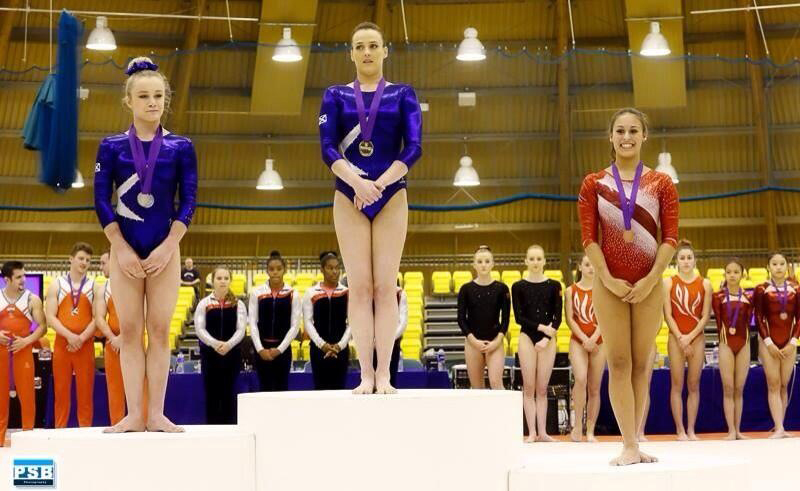 This was a great competition for Emma which, hopefully, might secure her a place in the team. On the way to gaining her overall title, with a score of 53.250pts, Emma also helped Team Scotland to secure the team gold medal winning position; she further qualified for all apparatus finals the following day where there was tough competition but in which she came through with Gold on floor and Bars and silver on vault. 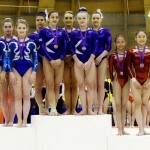 Well done Emma and Team Scotland.